Are You Demotivating Your Employees? Want to know how organizations destroy motivation at work? Managers ask about how to motivate employees, but employees naturally experience motivation. Ask any employee. Something in this world rings their chimes. So, the challenge for employers is not to destroy that intrinsic motivation that every employee has about something. And, the challenge for a manager is to help the employee find ways to experience that motivation at work. The best place to start? Make sure that your organization, your jobs, and your managers are not squashing employee motivation. 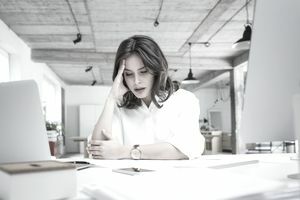 You may not control all factors relating to your employees' motivation but if you stop doing these ten actions, you will stop demotivating employees at work. Employees are adults with lives. They largely manage families, investments, day-to-day living, and everything that a life entails. Doesn't it seem silly to fail to recognize this at work? Why do so many organizations act as if they need to tell adult employees what to do and micromanage their every action? Organizations need policies and rules to create a legal, ethical, effective workplace. They do not need a policy to solve every problem. Yet, so many organizations make policies to prohibit or address the behavior of a few employees. Why burden all employees with a policy or a procedure when you can individually address the behavior of the few deadbeat employees? This is especially a problem at weekly meetings and during periodic performance evaluations. Managers must provide balanced feedback, but let’s get real. If an employee is making mistakes most of the time, why not fire the employee? The job must be a terrible fit for the employee’s skills and capabilities. To dwell only on problem areas destroys the employee’s confidence and self-esteem makes the employee more error-prone and makes your organization wonder why they promoted you to management. There is a reason why your Human Resources manager asks you if you have applied the same rules, expectations, and disciplinary actions to each person on your team. Inequities are visible to employees who quickly complain, feel picked on, accuse you of playing favorites, and ultimately–sue your employer. When inconsistent, unreliable actions are taken and perceived capricious decisions are made by a manager, employees lose faith and confidence. Their motivation at work disappears – and eventually, so do they. No, every employee idea is not worthless. Not every employee idea is going to light your flame of enthusiasm either. But, all employee ideas have merit. If nothing else the initiative and motivation that inspired the employee to seek to solve a problem or please a customer, is worth noting. For employee motivation at work, every idea deserves consideration and feedback. And, while you’re at it, is this idea something that the employee needed management permission or support to do? Changes to an employee’s job, when the changes have minimal effect on others, should not even need the manager’s permission. Employees learn quickly what you mean by empowerment. In your organization, managers may pay lip service to empowerment, but employees know that the organizational hierarchy or chain of command is the all-powerful ruler. In fact, managers may be just as unable to make decisions. So, don’t try to fool them; let employees know what they actually control. Clear expectations trump constant friction. You’ll destroy less motivation at work by telling the truth and dealing with what is so in your organization. Only a rare employee will find a work environment in which he or she is talked at motivating. But, it happens frequently. Even in organizations that encourage employee involvement, managers are not always skilled at discussing performance with employees. The manager may be afraid that if he stops talking, the employee will make demands he can’t fulfill. The manager may be uncomfortable with silence while the employee gathers his thoughts. Whatever the reason, if the manager talks 50+ minutes of a one-hour meeting, a problem will exist with employee motivation at work. The foundation for an employee’s relationship with her manager and her motivation at work is trust. Once violated, trust is difficult, even impossible, to rebuild. Before a manager shares an employee’s confidence with another employee, she needs to have permission from the employee – and a good business reason must exist. To randomly mention an employee’s personal business, thoughts, or confidences to another employee is a severe violation of a manager’s ethical responsibility. Secondary damage occurs, too. The employee with whom the manager shared the confidential information will never trust the manager either – and she will tell the employee whose confidence the manager violated. You can destroy employee motivation at work by focusing on performance areas that the employee does not control. If parts don’t come in for a manufacturing job, for example, it is difficult to execute promised production on time. Sure, the employee can work to ensure that the supplier, or another, deliver parts on time in the future, but the immediate performance is affected. Managers manage the work of employees, but a family emergency guarantees that the needed employee is not at work to produce. Worst of all? The employee looks as if she is making excuses when, in fact, her results were submarined by circumstances she didn’t control. Corporations, especially, have the practice of determining goals for a division or department from the top of the chain of command. This works when the goal setters are in constant communication with the doers. Their feedback should help frame the goals. But, too often, the goals are set with little communication and feedback, and the people in the field are distressed from the get-go with goals that they believe are unattainable. Employees need to participate in setting goals and thus accept responsibility for achieving them. This is what makes organizations work. Want to Know What's Most Important About Motivating Employees?